Supercharge your journey. 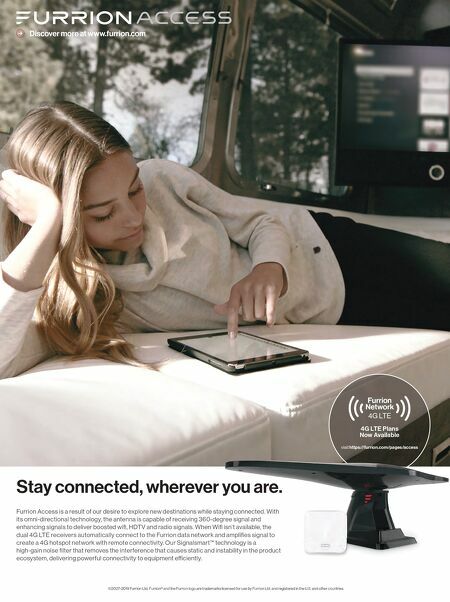 The smart way to power small appliances and charge devices while on the road. The Epod™ ecosystem stores energy for o-grid living and is designed for home, RV, and marine use. The AC/DC base turns it into an energy station with 110V, plus USB outputs and a solar-charging input. 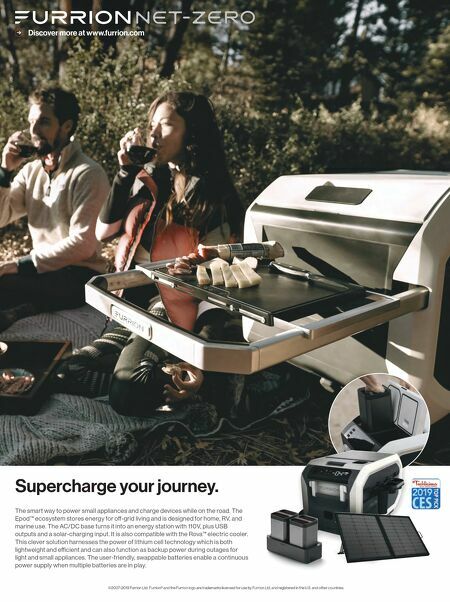 It is also compatible with the Rova™ electric cooler. This clever solution harnesses the power of lithium cell technology which is both lightweight and eƒcient and can also function as backup power during outages for light and small appliances. The user-friendly, swappable batteries enable a continuous power supply when multiple batteries are in play. Discover more at www.furrion.com ©2007-2019 Furrion Ltd. Furrion® and the Furrion logo are trademarks licensed for use by Furrion Ltd. and registered in the U.S. and other countries.